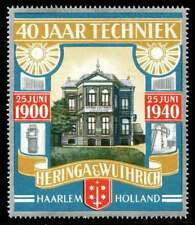 Netherlands Poster Stamp - 1940 Anniversary Heringa & Wuthrich Electrical Tech. Niederlande 1852 bis 1981 gestempelte Sammlung komplett mit Atteste im KA/BE A. Die Sammlung enthält viele teure Ausgaben, auch die Klassikwerte ab Mi-Nr. 48 echt gestempelt mit Attest, 10 Gulden orange mit Mi-Nr. (pos20490). Niederlande 1852 bis 1981 - gestempelte Sammlung, ohne Mi-Nr. 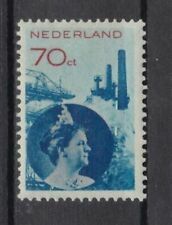 This is a cover and stamp from the First Netherlands Rocket Flights conducted by Karl Roberti in 1935. This flight, Poolster P12, took place on January 24th. EZ4A1 Imperf Rocket stamp with normal overprint. Eventueller Gerichtsstand: Enschede/NL. Ausland: 4,50/7,50. Kosten: Deutschland 2,25, Ausland für jede 100,00: 2,50. 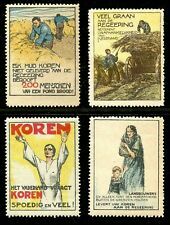 NETHERLANDS, Excellent Mint Stamp Collection hinged in an album, many Fresh & bright colors ! (Sheetlet with 5 values (5v M/S): Value 1 International x 5. You will be back for more! 3) Select each item and 'Add to Basket'. (Netherlands 2018 Insects - Experience Nature - Mint Never Hinged (MNH). Sheetlet with 10 values (10v M/S): Value 1 x 10. ==================================================. 3) Select each item and 'Add to Basket'. Dutch colonies - Neth. Indies 4 different stationery covers unused. ANNO 1944- PRIGIONIERI DI GUERRA. COLONIA OLANDESE - CURACAO. SPEDIAMO SOLO TRAMITE RACCOMANDATA, ASSICURATA, CORRIERE ESPRESSO. (APPRX SG 2698 - 2722. 4) FINALLY! 500 G £2.50 £6.50 £10.00 R EUR £10/R WORLD 13.00. Beautiful collection of all Very Fine, Mint Never Hinged Complete sets in quantities of 1 - 3 of each. a pretty image. Doing that is against U.S. and international laws. 1946 NETHERLANDS Sg619 10g VIOLET FINE USED. (APPX SG 2873 - SG 2924. 4) FINALLY! 500 G £2.50 £6.50 £10.00 R EUR £10/R WORLD 13.00. (Netherlands 2019 Stinzen Plants - Experience Nature - Mint Never Hinged (MNH). Sheetlet with 10 values (10v M/S): Value 1 x 10. You will be back for more! 3) Select each item and 'Add to Basket'. 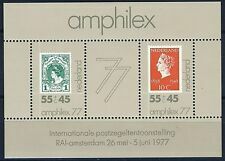 (Netherlands 2018 Experience Nature - Mushrooms - Mint Never Hinged (MNH). Sheetlet with 10 values (10v M/S): Value 1 x 10. You will be back for more! 3) Select each item and 'Add to Basket'.